Foldable cellphone changed to cellphone or tablet? Microsoft! How come? Microsoft is not a new player in the smartphone industry. You can find Microsoft mobile phones in the market such as Lumia 535, Lumia 640 LTE, Lumia 540 Dual Sim to Lumia 630. Even if you look at the official website, there are rows of new phones on display starting from Lumia 950 XL, Lumia 950 and Lumia 650. Do not want to miss the other smartphone manufacturers, next year Microsoft is rumored to be launching a new mobile phone. What is the cellphone like? The certainty of Microsoft's new cellphone is reinforced by the existence of Beneath a Surface. The Beneath a Surface book was written by Brad Sams, which collects the writing of journalists and technology blogs Microsoft Thurrot.com. A number of Microsoft projects in 2019 are described in this book. 2. Microsoft's folding cell phone is rumored to carry the name Andromeda, so cool is its name! 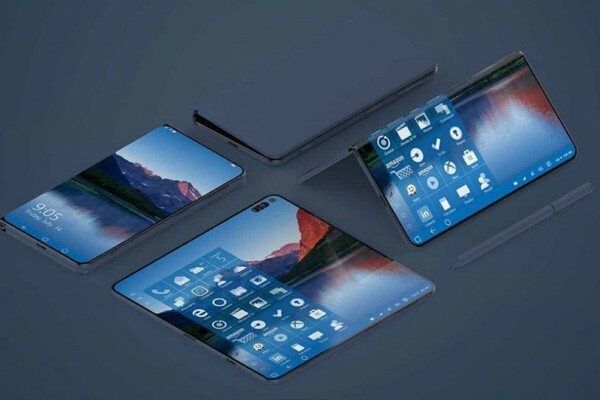 This Microsoft folding cellphone will be a new challenger for a number of folding phones that also launch next year, such as Samsung, Huawei and LG. Microsoft even made a special project called Project Andromeda to bring folding phones to consumers. 3. This phone has two unique functions. Anything? Leaks delivered through the book Beneath a Surface reveal that Andromeda will function as a cellphone when folded. When the fold is opened, Andromeda will function as a tablet. Merging the functions of cellphones and tablets is believed to be hits in 2019. Although not yet explained the complete specifications of this cellphone, but the Andromeda operating system is believed to be carrying the latest OS Windows Phone complete with some improvements from the old version of the Windows Phone OS. Not only cellphones, Microsoft will also present a new Xbox One console. This laptop will use AMD chips instead of Intel to advance as a competitor to the iPad Pro 12.9. Certainly, there will be many new cellphones that will be present in 2019. Not only folding models, of course. Then what is the ideal cellphone you're waiting for in 2019? 0 Response to "Foldable cellphone changed to cellphone or tablet? Microsoft! How come?"